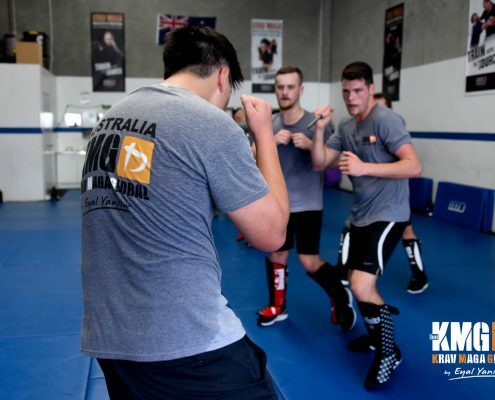 Krav Maga Self Defence | Learn Krav Maga in Sydney! 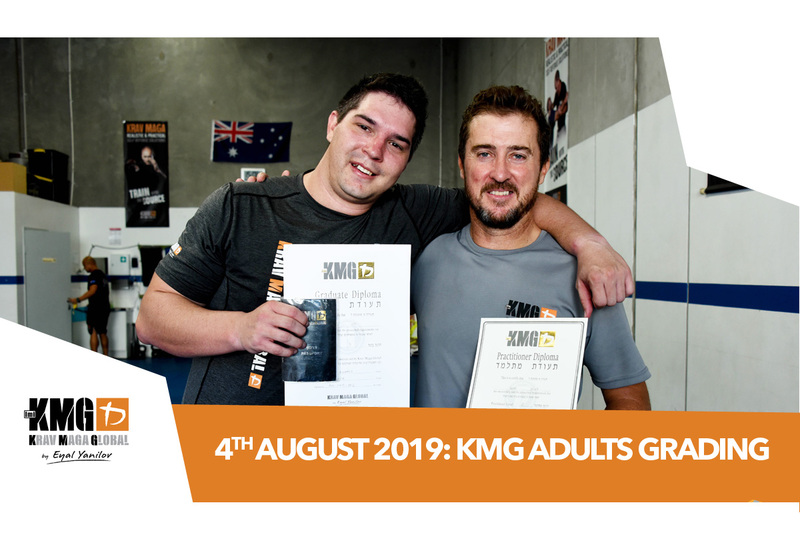 Pictured: KMG Head Instructor, Eyal Yanilov with GIT Member Franklyn Hartkamp. 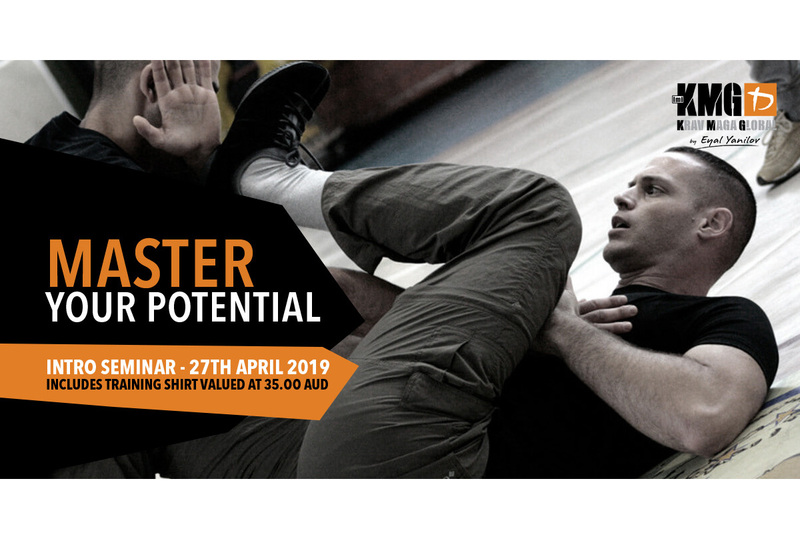 Imi Lichtenfeld, the first defensive tactics instructor, developed Krav Maga for the Israel defence force. 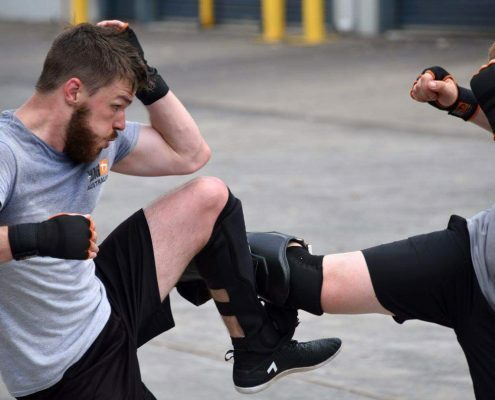 Through many years of field testing, constant refinement and feedback from military and security sectors, Krav Maga has evolved to what it is today – a highly effective, efficient tactical system. 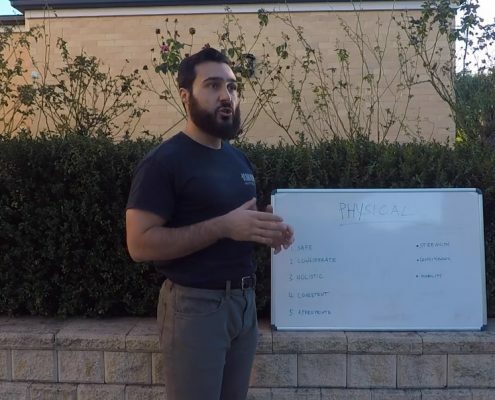 The civilian form of this system has since migrated to five continents and the number of civilian instructors worldwide continues to grow stronger yearly. 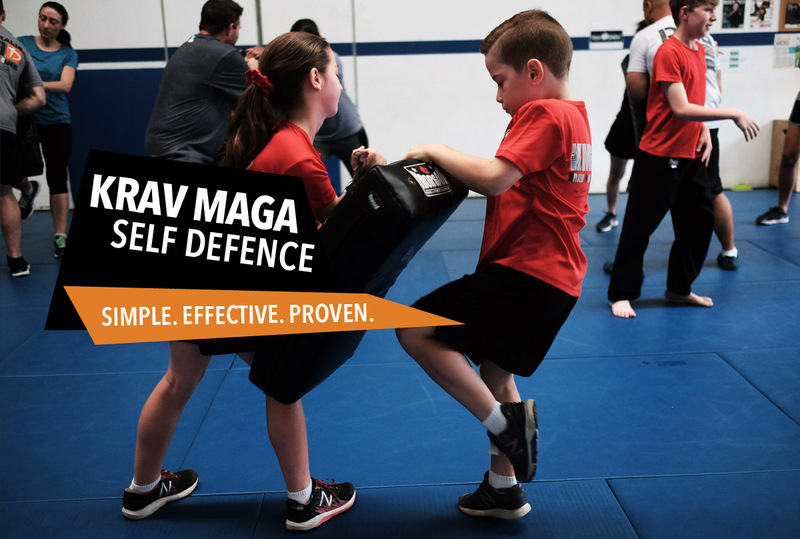 Designed around instinctive body movements, Krav Maga was originally developed for the Israel Defence Force. 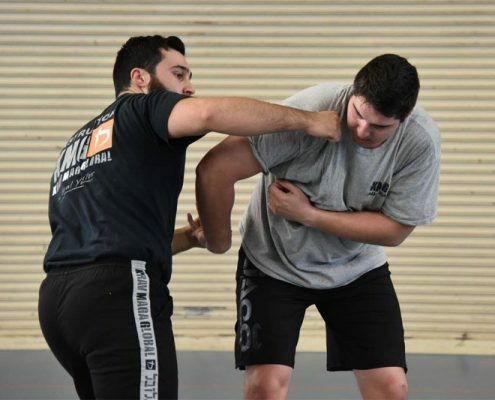 Krav Maga’s proven success has led to its increased practice throughout the world. 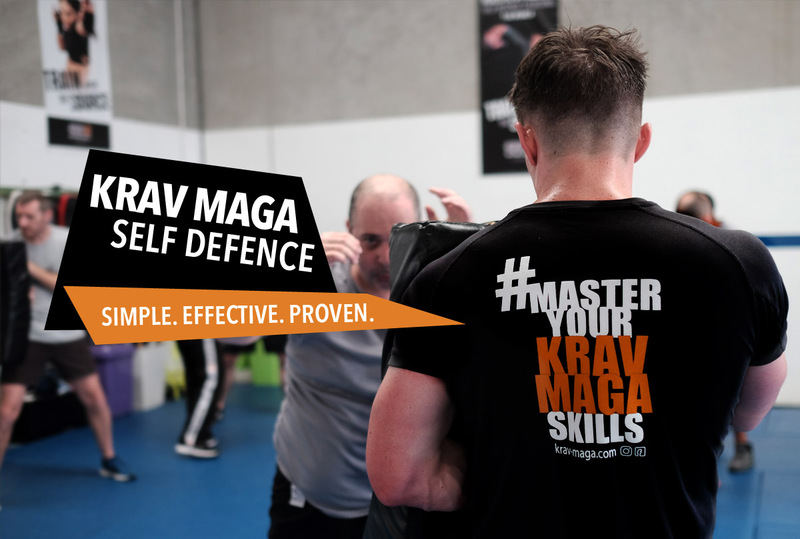 Krav Maga contains tactics and training methods to give anyone the ability to survive a confrontation and protect themselves and their loved ones. These skills are taught in a fun and friendly environment, while you get fit in the process. 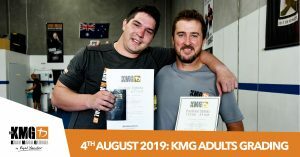 Krav Maga Self Defence offers regular classes, seminars and private tuition to all sectors to the community in Sydney’s North West and is officially affiliated with Krav Maga Global (KMG). 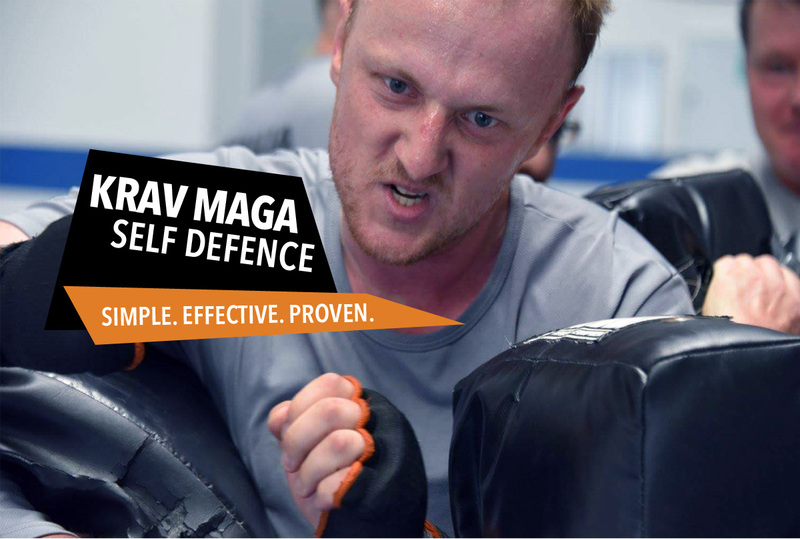 Krav Maga Global is the most recognised and largest Krav Maga organisation, with established KMG branches worldwide. Finish time will vary depending on grade. Give your children the skills to protect themselves.Confidence. Awareness. Discipline. Fitness. We cater to age (5-16 yo). 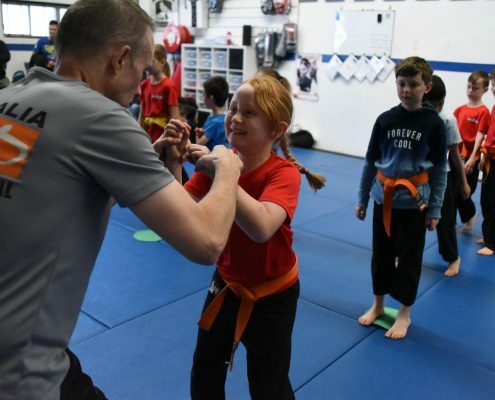 Our curriculum not only focuses on self-defence, but also topics such as bullying, peer pressure and internet predators. Challenge your fitness and strength in our fitness classes. 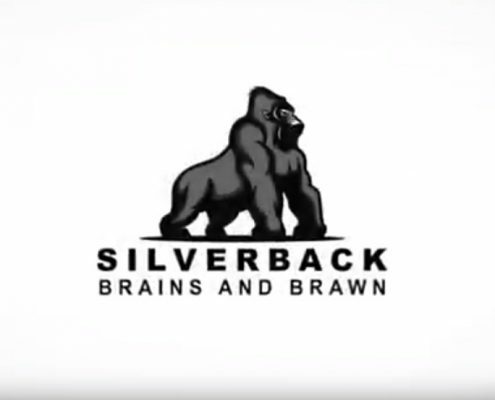 Open to all levels and scaled personally for your own development. One to one instruction and private group lessons are available for those who wish to take their skills to the next level. 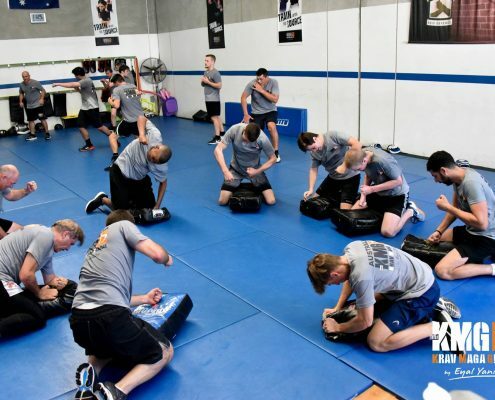 Scenario based training with light sparring to further enhance your Krav Maga skills. 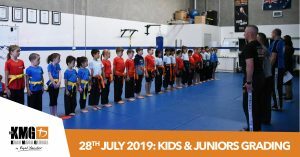 We host a number of workshops, camps and seminars throughout the year covering a range of topics applicable to all age groups. Please find our locations below. 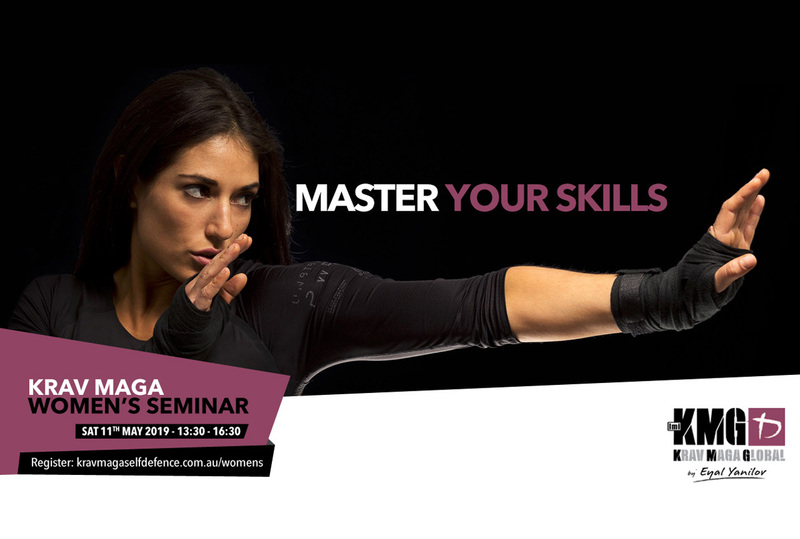 Can ladies learn Krav Maga? Definitely! The motivation for women to learn self defence is to defend themselves against attacks primarily perpetrated by a male. 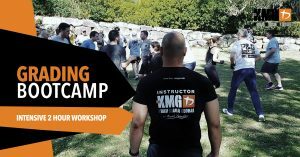 Learning Krav Maga is a great way to acquire life skills, improve your fitness and seek new challenges. 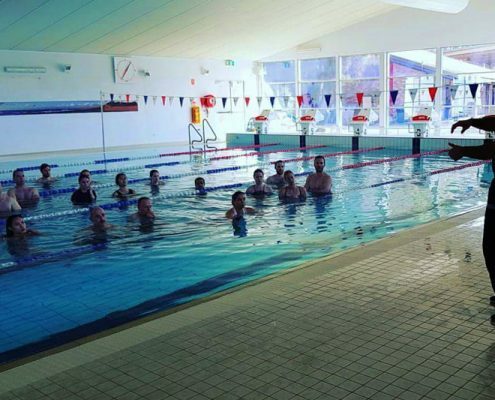 We also offer women’s only seminars on a regular basis, run by our fully qualified female instructors in a separate setting from any of the male students in the class. Our student’s safety is a top priority of the system. Training in self defence always bears a risk of injury. Is there any contact during training? We aim to strike a balance between realism and safety. This ensures that they are not intimidated and protects the safety of others. Is there a question that hasn’t been answered in the FAQ? Still want to find out more information on our classes? Want to organise a seminar, workshop or private lesson? Fill out the form to the right and we’ll get back to you as soon as we can!